Lack of flexibility and adaptability: There is a legacy system that helps to integrate new technology when required. High-Cost Maintenance: As we know that legacy application is very complicated when compared with modern technology. Also, take care of maintenance cost which should be that high. Poor vendor support: Legacy might use the old hardware to find the vendor support which is one of the most challenging tasks. Shortage of Support: As the time passes we’ll find the shortage of the skilled resources that acknowledge with legacy with leading the issues and offering support to them. Missing Business Functionalities: Several modern businesses come with brand new features with meeting customer needs. What are some of the possible ways that show the actual process of application modernization tools? Build Migration Tool: This is one of the easiest and preferred ways for migration that is adopted by various businesses. It uses several paths for the data, process which helps in moving to the final upgraded environment. Down the line, it does not use high service level breakage and inaccessibility to the application. Enhance Legacy Application: This tool works well in various scenarios which depend on the legacy system and which can completely move out of it. To keep in tune with changing dynamics one should add functionality and another process to achieve better results. There are a few aspects that enhance add-ons to build a new system. So get ready to use data management, task management, and other business functional tools. Build an outer layer on the top of the Legacy application: For instance, there are generally three workflow layers that we have to consider. Various scenarios show that the enhanced option to manage the add-ons and complete the particular details by transferring to the legacy application. It comes with a shrinking pool of resources that maintain or upgrade all application. From removing the obstacles to digital business, the legacy system is often used as a business executive. Also, the researcher has predicted that invest in digital business innovation will grow widely through to the end of 2020. 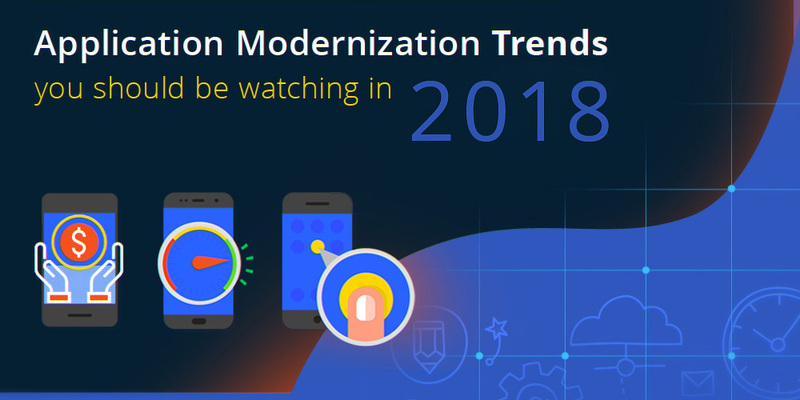 If you are looking for more effective and application modernization approach then below we have a list for the same. Encapsulate: Leverage and extend an application that adds values and functions into it with making it accessible as services via an application programming interface. Implement specific and knowledge hidden behind it. Rehost: We have the application component that creates the project without altering the application code or modifying the features and the functions it provides. Replatform: There is a runtime platform which makes minimal changes to the code and adapts to the new code structure by migrating to application components. Refactor: Optimize the existing code without changing its external behavior and removing the technical debt to get great output of it. Rearchitecture: Use of the better capabilities and exploit the entirely new application architecture which can alter the code without shifting to the new platform. Rebuild: Rewrite the application component that can scratch while preserving its speciation and scope of it. Replace: Altering and eliminating the previous application will help you to replace the component by taking the new components and fulfilling the needs of the account.